The Octopus is coming! | "I Prefer Their Old Stuff"
« Ok, so I spoke too soon! 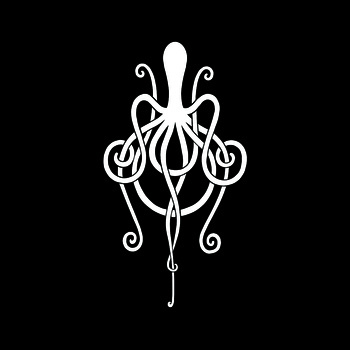 Manchester band Amplifier’s new album “The Octopus” is released on 31/01/11 and as a double album clocking in at around 2 hours, I think it may take some time to get my head around it. It is currently being streamed on their Bandcamp site, but you can listen to it here via the widget at the bottom of this post. I only recently became aware of Amplifier when Last.fm played a track of theirs on my recommended radio (I briefly spoke about that here) and having given “The Octopus” one listen it sounds quite a bit different to their last album. Where that was more of a straight forward rock album this one is a much grander, progressive affair, I’m reminded of Porcupine Tree a lot but there are also elements of Pink Floyd (the first track “The Runner” reminds me of “On The Run” off Dark Side of the Moon with the sound of the running feet and breathing). As I said above this may take a while to be digested before I can give any real opinion on it. I will look at doing a proper review of it when I have the CD in my hands and have had chance to give it a few proper listen, so probably early next month. Watch this space. This entry was posted on January 10, 2011, 3:18 pm and is filed under Uncategorized. You can follow any responses to this entry through RSS 2.0. You can leave a response, or trackback from your own site. The Octopus Is Here! « "I Prefer Their Old Stuff"